Made with the famous German attention to detail and quality. Durable enough for hard use, so they can be lovingly passed down from one child to the next. 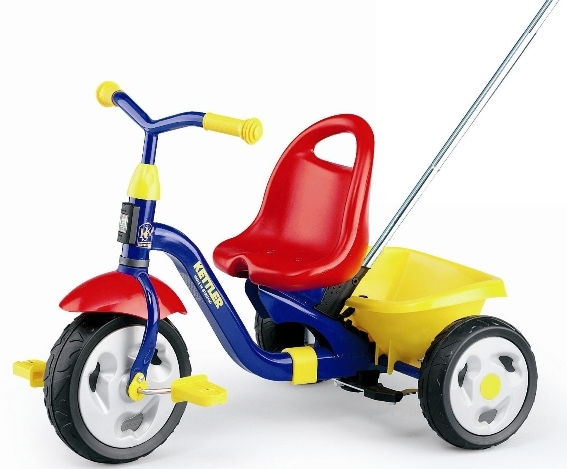 Jam-packed with unique features, including ones that extend the useful life of the trike, such as a pushbar for little toddlers. Bright, cheery variety of colors. Extended 3-year warranty on German-built trikes. These trikes combine quality engineering, multiple features, extra options, and attractive design.